Every once in a while, in the world of combat sports, adjudication of a bout will utterly fail, reigniting a fierce debate. Last Saturday, when the scorecards were read for Canelo/GGG, fans gaped in disbelief at yet another atrocious act of judging. 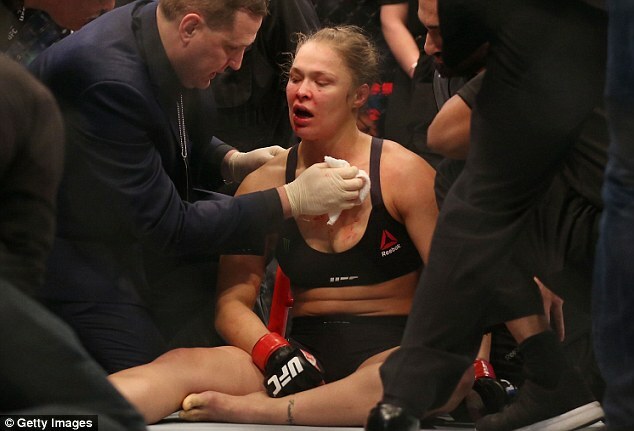 Although this particular instance occurred during a boxing match it is nevertheless symptomatic of judging in combat sports as a whole. It would be easy for someone to claim bad judging is isolated to problem individuals like Adelaide Byrd (who scored Saturday’s bout 118-110 in favor of Alvarez) and corrupt commissions like Nevada. However, Saturday night’s robbery is in no way unique to any one state or sport. While MMA has seen its share of unconscionable decisions (Manhoef/Carvalho 1, Sanchez/Pearson, etc.) these instances are relatively infrequent. What is far from rare though are close decisions that can be argued either way and which end up leaving all parties unsatisfied. The new Unified Rules attempted to improve the accuracy of judging through various means e.g. making 10-8 rounds more liberally scored but measuring the effectiveness of these “improvements” is extremely difficult. Moreover, many commissions have not adopted the new rules resulting in fighter, fan, and referee confusion. Manhoef vs Carvalho 1 may be the worst fight of all time. We might be able to say more 10-8s are being given in states that adopt the new rules but how can one claim these are justifiable or accurately awarded? Couldn’t the allowance of liberal 10-8s be used to increase the degree to which scorecards are bad, just as surely as they would be used to credibly score a fight? We can alter diction and improve our definitions of damage, impact, and duration ad nauseam but that will not change the root of the problem. 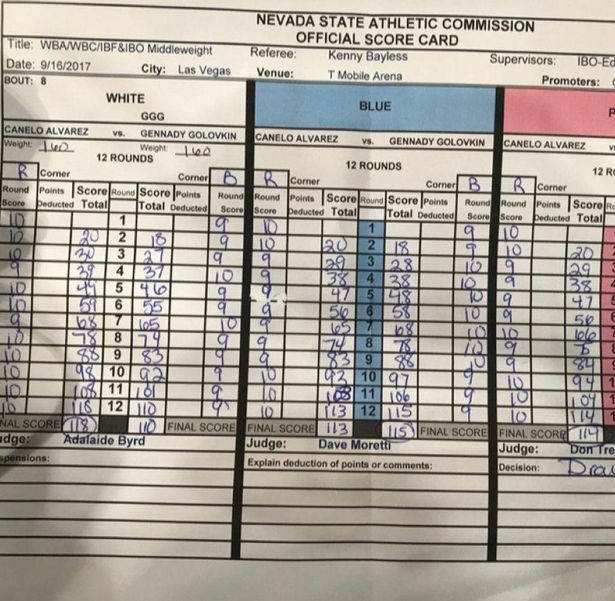 While Byrd’s scorecard for Canelo/GGG is basically impossible to justify, and therefore indicative of some level of corruption or extreme incompetence, there are fights in which one can make cogent points in favor of either fighter. At UFC 215, Champion Amanda Nunes won a split decision over Valentina Shevchenko to retain her title. In a fight like this, and there are many like it, where either competitor could easily be claimed the victor how can we ever come up with system that rightfully identifies the winner with a low margin of error? Pride Rules, Boxing’s 10-9 system, MMA’s Unified Rules, all these systems attempt to impose a thin veneer of objectivity over what is essentially a subjective experience. That is not to say judging is purely subjective – if that were the case no one would be upset by the result of Canelo/GGG. However, judging is heavily subjective in that judges can interpret objective rules through their own individual lenses. Examples of the subjective nature of judging are endless. If Fighter A is constantly throwing elbows off of his back while Fighter B sits in his guard doing nothing who wins the round? Fighter A is more active but Fighter B has a dominant position and presumably scored a takedown to arrive there. What if, in a round, Fighter A lands a high volume of pitter-patter strikes while Fighter B lands one or two heavy shots? Who gets preferential treatment? If a judge values activity he awards the round to Fighter A and if he values damage he awards it to Fighter B. This type of process is repeated in every conceivable scenario in every fight. The lack of replays and accountability on the part of judges/referees are just two major changes that could improve the judging of MMA. If someone like Byrd had to face the press on Saturday night would she still put that infamous scorecard? Even for uncontroversial judges accountability is a good thing. The more judges explain their motivations, i.e. what they are looking for, the more informed fighters can become. What else can be done to lower the margin of error? Are we simply not giving judges enough to work with? Can the Unified Rules be defined/refined better? Should we simply scrap the 10-9 model and move to something entirely unique for MMA? Would commissions even adopt that new system? These are the questions that emerge every time a bad decision is made in a major fight. Unfortunately this line of inquiry peters out in no time and we are left with the status quo…until next time I suppose.